Cancun may be synonymous with spring break, but there is far more to this city than Senor Frogs and Coco Bongo. True, Cancun is most certainly a world-class party city, but it is also a great place to have a romantic get-away that can be as decadent or relaxing as any island resort. There are several fantastic restaurants that offer a wide variety of cuisines, as well as a landscape that could not be more picturesque. Some of the top things to do in Cancun, however, are less about romance or partying, and more about satisfying the urge to explore and appreciate the outdoors. There are thousands of Cancun adventures that are both fun and informative. 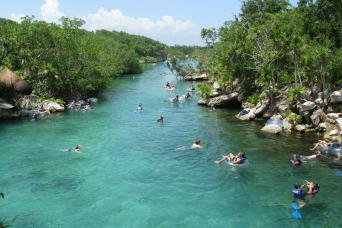 You can zip-line above the canopy of the jungle, swim with dolphins or visit an eco park like Xcaret Park or Xel-Ha. These eco parks offer more adult activities than your typical water park, such as cliff diving, rope diving, kayaking and swimming in two underwater grottoes. Other Cancun things to do include exploring the reefs along the nearby Isla Mujeres, visiting the pyramid at Muyil and witnessing the profoundly beautiful Lago Bacalar (the Lake of Seven Colors). 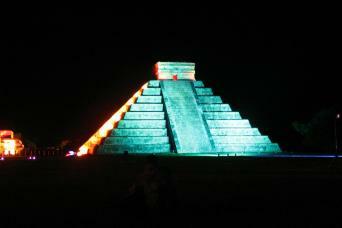 Cancun is also incredibly close to the ruins of several Mayan cities, the most important of which is Chichen Itza. With an estimated 1.2 million visitors a year, Chichen Itza is one of the most visited sites in Mexico and a vital part of the nation’s proud heritage. 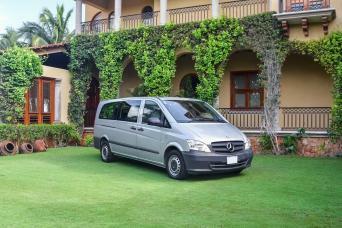 Gray Line Cancun offers dozens of tours in Cancun and to locations well beyond the city limits. Our Cancun airport shuttle will get you from the airport to your hotel, and our numerous Cancun excursions will take you as far from the city as Chichen Itza, which is approximately 125 miles away. Though you may want to spend the night dancing, drinking and partying, it is important to take the opportunity to explore the myriad Cancun attractions during the day. We offer Cancun tours that will take you through the jungle, day trips that will take you into Mayan ruins and even excursions that will take you out to the idyllic waters of the Caribbean. 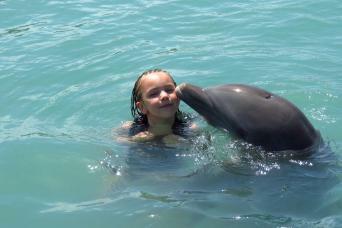 Some of our most popular Cancun day trips are much more than just tours. The Chichen Itza tour from Cancun, for example, includes a buffet lunch as well as the opportunity to enter the ruins through our private entrance. 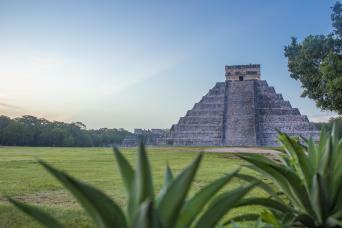 While at Chichen Itza, you can also learn first-hand both the spirituality and culinary habits of the Maya, as well as the Maya's unique numerology system. 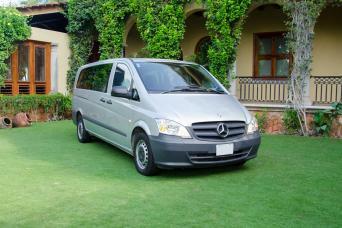 We also offer combination trips with many of our Chichen Itza tours. After exploring the ruins, you can take a plunge at either Xcaret Park or Xplor Fuego, one of the best adventure parks in Mexico. However, there are more ruins than just Chichen Itza. We also offer tours of Tulum, Muyil and extensive packages for those who want a more comprehensive look at the Mayan temples of the Yucatan. Gray Line Cancun also offers tours that take you out to sea. 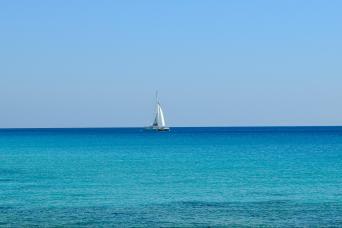 These voyages are far more than just your average boat ride on a catamaran. Our trip to Isla Mujeres, for example, includes both an open bar and a spinnaker sail ride. 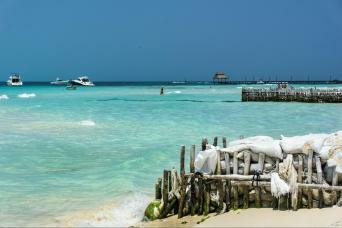 Once you arrive at Isla Mujeres, you can enjoy some of the best snorkeling Cancun has to offer. One of our other ocean voyages will take you within just a few feet of one of the most majestic creatures in the ocean: the whale shark. 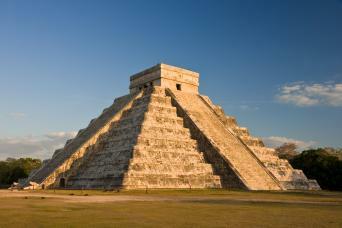 Gray Line Cancun has been introducing people to the awesome ruins of Chichen Itza since 1921. It is our goal to show visitors to the Yucatan the glories of the past with all of the luxuries of the present. Explore the 7 modern wonders that have left the world in awe. Be among the first to enter the UNESCO site of Chichen Itza in the morning and enjoy a spiritual ceremony officiated by a Mayan Priest, then lunch! This small group guided tour of Chichen Itza from Cancun will give you a personal experience at the only New Wonder of the World in North America!